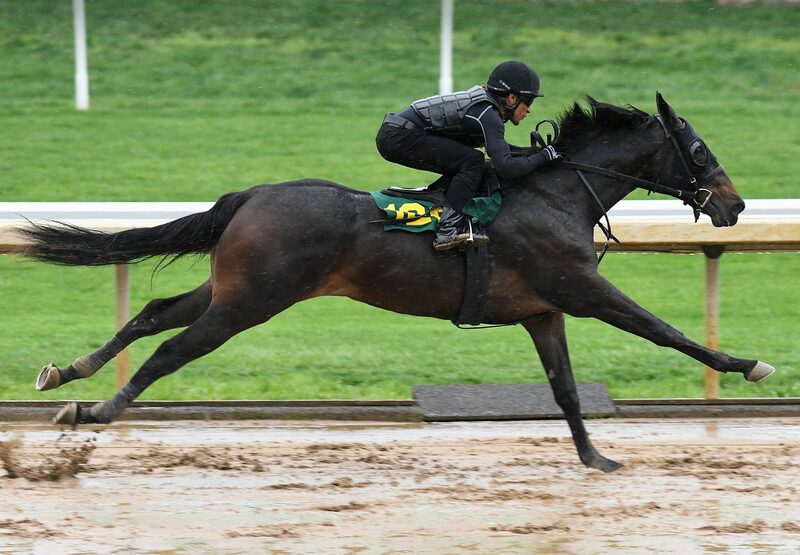 The strong demand for two year-olds by exciting young sire Competitive Edge continued at the Keeneland April 2YO’s in Training Sale with a filly selling for $235,000, the second highest priced breeze up filly of the sale. Consigned by Kirkwood Stables, the filly from Lefreakcestchic was bought by Shepherd Equine Advisers, agent for Larry Hirsch and comes from the family of Grade II winners Living Vicariously, With Distinction and Sightseeing. She showed plenty of talent in the breeze up session galloping out a quarter in 21 and 1/5th. "She has always been a very nice filly. She went exceptionally well on an off track" commented Kip Elser of Kirkwood Stables. Competitive Edge has had plenty of other sales ring success already this year with juveniles also selling for $175,000, $170,000, $160,000, $150,000, $150,000, $100,000 etc. His only runner to date Competitive Queen finished a half-length second in a MSW at Keeneland last Sunday pulling clear of the field. Priced at a stud fee of just $5,000, the Grade 1 Hopeful Stakes winner looks exceptionally good value in 2019!